The LA Rush remixes for Georginas:s latest single "Sail With Me" is released on digital stores. One of the LA Rush remixes that were released last year on We Are Two's single “Last Summer”, has been selected as one of the songs to be a part of the "By The Pool, Part 2: Summer 2018" & is now released on Beatport. 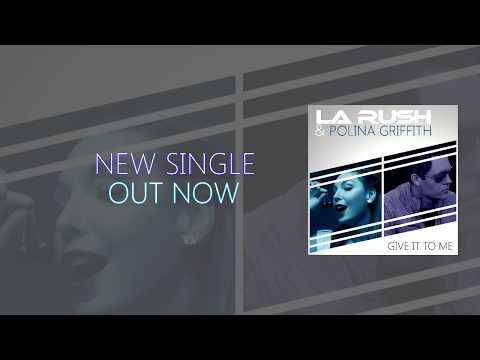 LA Rush new single (together with Polina Griffith) “Give It To Me" is released today including the Radio Edit, Club Mix, Funkstar De Luxe Radio Edit & Funkstar De Luxe Club Mix. Get you copy on Itunes, Amazon, Spotify, Deezer and other digital stores. Its one year this week since LA Rush launched his own weekly radioshow and in the next 52 weeks, he will invite a guest artist every other week for 10 minutes that will talk about their music, gigs and such and of course play their own music. First out is Sannanda and after that until summer 2019 some of the artists are Funkstar De Luxe, Seri, Rozalla, Sound Breeze, Terri B & Nevada. The LA Rush remix for George Von Liger:s latest single "Whispers" is released on digital stores. The LA Rush remixes for Imagination:s latest single "Just An Illusion" is released on digital stores. Its a remake of their huge 80s hit.